One thing that used to bug our users was the lack of “social” medium in Google Analytics. Fortunately, the Google Analytics API team frequently updates their tool. 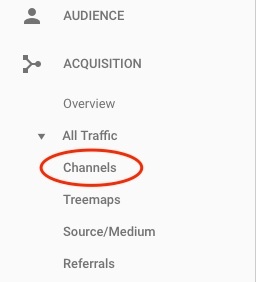 They released a new dimension a while back called Default Channel Grouping (ga:channelGrouping) which represents the view “Channel” in your Google Analytics account. This metric is available in DashThis by creating a custom widget. This entry was posted in Integrations and tagged google analytics, Managing Integration. How to use Avanser call tracking in a Google Analytics dashboard?